Popular Electronics began in October 1954. Its content was of a general electronics nature, including radio, TV, remote control, HI-Fi audio, test equipment and other electronic items. On January 1972, Popular Electronics merged with Electronics World to become Popular Electronics including Electronics World. 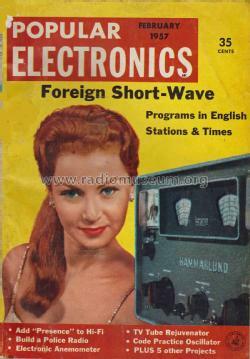 The magazine would later drop the "including Electronics World" and become Popular Electronics again.